If you want to have a lawn that is perfectly green and has no we within it will take more than the water to make that happen. At most national Tulsa weed control companies you can expect to have to take out a second mortgage on your house in order to pay for that. Unless you decide to give Greenleaf a phone call at 918-640-6405. 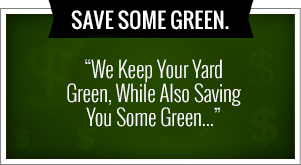 Greenleaf is able to offer you that perfect lawn that you have always wanted at a price that won’t break the bank. We would love if your family would join our Greenleaf family. The great thing is that we can offer you a lot more than just Tulsa weed control. We can get every part of your landscaping looking wonderful have your neighbors jealous of you in no time. We can help you things like flower bed maintenance, hedge trimming and shaping, leaf removal, sod installation, small tree removal and planting, small shrub removal and planting, spring cleanups and lawn scalping, fertilizing and weekly lawn maintenance. These are some of the areas that we can also help you make your lawn look amazing. Landscaping can make or break the look of a home. We also offer different services that are based on the season. Our spring and fall services include gutter cleaning, leaf cleanup from lawns and landscape beds, seasonal flowers and mulch, trimming back perennial plants, scalping lawns, aerating and over seeding, holiday lighting and snow removal. We are available to call and talk to one of our turf enhancement engineers 24 hours a day seven days a week. We know that inspiration can come to you at any time in this will allow you to call us when inspiration strikes. We are able to offer any of the services for both residential and commercial properties. If you would like one of our turf enhancement engineers to come out and look at your property would be happy to send someone out. It Greenleaf we only hire the best people that we know will take care of you. We only hire fully certified spring technicians from right here in Tulsa. They are certified by the Oklahoma Department of agriculture and they are fully equipped with the proper licenses to bring you the best Tulsa weed control around. We also make sure that all of our turf enhancement engineers are fully equipped with the correct chemicals and proper attire that will comply with all state regulations. We would like you to consider us for your holiday lighting because each year there are hundreds of accidents with people trying to put up their own Christmas lights. We would hate for that to happen to you so we would love if you’d call us and let us put them up for you. We can help you design the perfect location to put the lights, then we will install the lights, after the season is over we can take them down and then we are able to store them at our location for you as well. Please stay safe this winter if you’re planning on doing your Christmas lights yourself. Greenleaf’s Lawn Care is a very dedicated company that will provide exceptional service at a cost that will not break the bank. We are extremely good at what we do because we practice and train immensely. We focus on making sure everything is all set so we can put our best foot forward before we even start up our lawnmower. We at Greenleaf are extremely economical when cutting lawns which means that we are extremely fast but we also give the best quality around. Give us a call 24 hours a day, seven days a week at 918-640-6405. By choosing Greenleaf, the best Tulsa weed control company in town, you will be saving time and money so you will be able to focus on doing things that you really love to do instead of spending hours and hours outside in the heat working on your lawn. Our goal is to take away the headache so you can enjoy life more. We are very good at having a routine schedule so you are never in doubt about the day and time that your lawn will be taken care of. Our main services include weekly full lawn maintenance, Tulsa weed control and also fertilization. 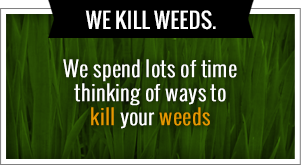 We are very different than other Tulsa weed control companies in that we have a 24 hour customer service response line. You will never be left wondering about a question or concern that you might have because we will give the answers to your question in a timely manner every single time. Because of this we are the number one lawn maintenance company around that takes care of some of the best companies in Tulsa including Mathis Brothers Furniture, Outback Steakhouse and so many more. If you’d like to find out more about Greenleaf Lawn Care and what we offer don’t hesitate to give us a call anytime. One thing that we offer that we would really recommend is our holiday lighting packages over the Christmas time. Each year there are hundreds of accidents with people falling off ladders, falling off roofs and even elected getting themselves while dealing with Christmas lights. We really do not want you to fall victim to a strand of lights because it is not important enough to be injured over. We had been working with holiday lights for years and have the personnel and equipment to do them safely and efficiently. We care very much about your safety. We had Greenleaf do everything from help you design your Christmas light set up and then can help you install all of your lights. Will then come back when you’re ready for your lights come down and we can bring them to our storage area and keep them safe. We work with many residential and commercial companies for our light installation. Remember, you can always get a free estimate so we can let you know how much it will cost before you go through with anything. Give us a call and get your free estimate today.